derivedtwill weave, created by a number of angled rows spaced in therepeat of the weave, which may be single or reinforced. Depending on the number of rows in the repeat, we distinguish between two-row, three-row, and stitched t. A fabric which uses these weaves is termed diagonal cloth. 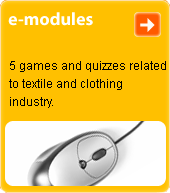 Its typical application is in woollen fabrics.